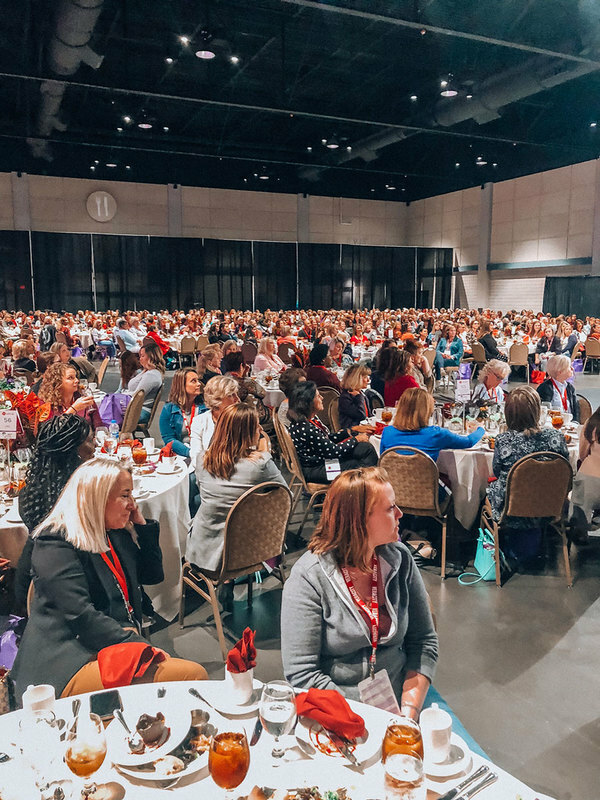 Recently, I had the opportunity to attend the annual Living in Vitality Conference—an annual event dedicated to inspire women to live a healthier life physically, mentally and spiritually. I am a new mom, and my 14-month-old little boy has completely changed everything about life as I knew it! There is never a dull moment, and the many hats that I wear—mom, wife, daughter, entrepreneur, friend—all keep me busy from the moment I wake to the moment I crawl under the covers. With that being said, I wouldn’t change the craziness for the world! My son, Jett, brings me more happiness than I ever could have imagined. His joy is so pure and he gives my life an entirely new meaning. Although, most of the time the act of self-care gets pushed to the bottom on my list of “things to do,” and I forget to stop and take the time to do activities that refuel and invigorate me. That’s why I decided to take a day—just one day—that I would put down my computer, hire a sitter for Jett, and take a time-out from the busyness of life to put myself first and indulge in something that would ignite and rejuvenate me! 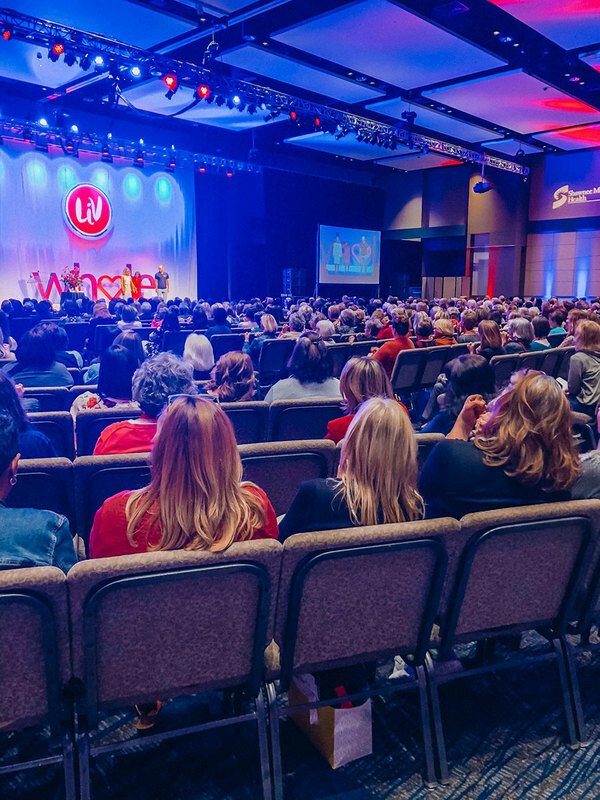 Here is a quick recap of my day and a few highlights from the Living in Vitality Conference, including my favorite speaker, exhibits and moments. 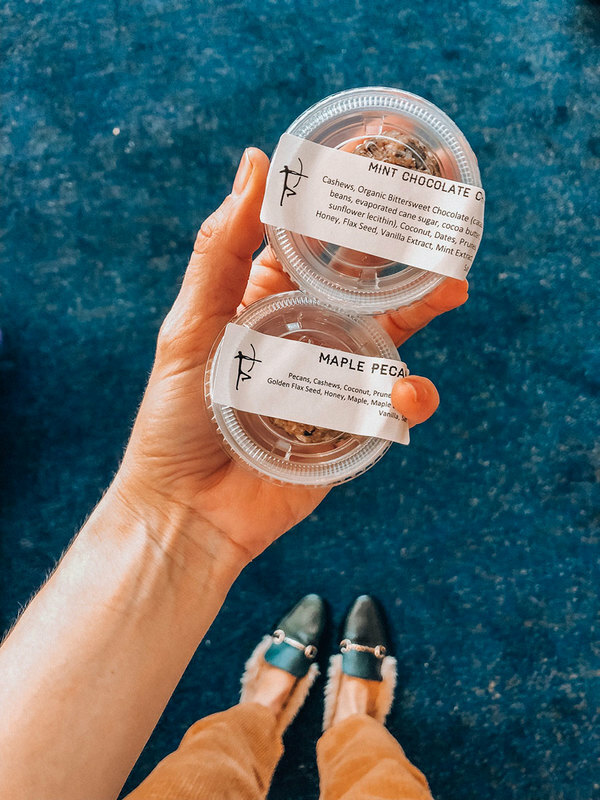 Evolve Paleo Chef: Anytime someone has a free sample—especially protein balls— you know I will be there! I had not yet tried Evolve Paleo Chef, so I was glad to see they had a booth set up when I first walked into the Overland Park Convention Center. I loved chatting with the ladies at the booth about the company—a meal delivery service (and a few storefronts where you can pick up fresh, healthy meals!) offering clean (and delicious!) eats. Oh, and my favorite paleo protein ball flavor is Maple Pecan! AdventHealth Shawnee Mission PT Solutions Physical Therapy: I have had issues with my knee for years! I have had pain off and on in my right knee ever since I started running long distance in college. I stopped by the AdventHealth Shawnee Mission PT Solutions booth to get a free consultation. This was so helpful because I have been putting off getting it looked at for months (actually more like years!). The therapist listened to my issue, did a quick check on my knee, and let me know how we could get it feeling better with the help of physical therapy—he was knowledgeable and so helpfully in helping identify the problem! Sunlight Day Spa: While waiting my turn for a free shoulder massage (amazing right!? ), I stopped by the esthetician table to ask some questions about my skincare regimen. I had noticed they had Image Skincare on display, which is the exact line I use! I asked about my day and night routine to see if I could make any changes or additions to it. I invested in an exfoliating cleanser to include a couple times a week! Rainy Day Books: A bookstore in Prairie Village I have always been meaning to check out! I flipped through lots of cute books for toddlers—many from local authors! We love getting new books for Jett, and we know he appreciates it too, as one of the rare times he sits still is when we read him books! Simple Science Juices: Honestly, I hadn’t hopped on the fresh juice trend—I am such a big coffee drinker, and that has always been my drink of choice. But again, with free samples—there is no harm in trying! And wow was I surprised at how delicious it was! I tried two different flavors—my favorite was the “Wellness Bomb”! Cleveland University Posture Screening: This screening was SO cool (and so informative!). I stood on a machine resembling a large scale and stood up tall. The machine was able to scan my posture and gave me a printout of what my body looks like while standing. The result? My right shoulder drops lower than my left, and my left foot pronates in, making my hips slanted while I walk, stand, run, etc. The crazy thing is this could be the reason for my previously mentioned knee issues (and just might be the source of the back pain I experience from extended periods of walking or standing)! This screening surprised me on how helpful the information was (now on to getting into a chiropractor to get this issue addressed!). My favorite of the day, Mindfulness: When I saw this topic on the list of breakout sessions, I knew I would have to be there! My days are filled with so many different projects that I am constantly switching between them and I find that my brain can get a little overloaded at times—that is when the stress begins to overtake me. I have been wanting to learn a few techniques that help me slow down and calm my mind, but I always subconsciously tell myself that I “don’t have time for that!” The biggest takeaway from the session for me was how much the brain can benefit from oxygen. The thought of taking deep breaths and flooding my brain with fresh oxygen has been a good image and reminder to slow down when I feel overwhelmed and do some simple breathing techniques to settle my anxieties (and it really DOES help!). Speaker: My favorite speaker of the day (it was hard to choose!) was Marci Shimoff. Marci was the final keynote speaker of the conference, and ended the day with a speech that really hit home for me on happiness. She shared about the people she had met during a journey of research of trying to determine what makes people happy from the inside out. I found her speech to be very relevant to me, even though I find myself to be overall a pretty happy person, there are many days that are filled with negativity and pessimism. Her stories of the people who had chosen happiness day in and day out was inspiring and uplifting—a great end to the day! Overall, the day was such a success! A little bit of pampering and self-care, lots of connecting with others on topics I feel passionate about, and eye-opening speeches that shook me out of the daily grind and into a place of inspiration and connection. 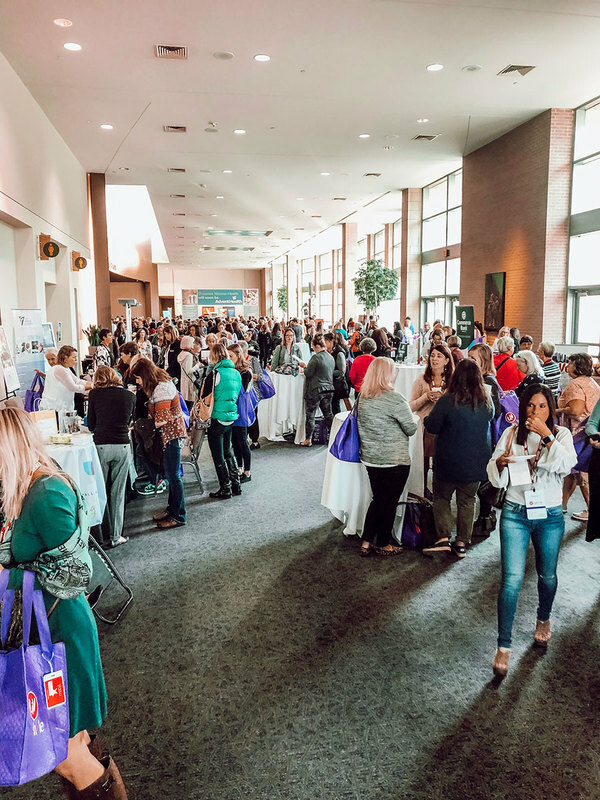 The LIV conference is a great event for ALL members of the Kansas City Community, and has a little something for everyone. Well worth the time out from a busy schedule—I will definitely be back next year! In the pursuit of a creative outlet, Meg developed Alexander-Alexandra to share life's little adventures, big and small, with friends, family, and beyond. A lover of fitness, photography, fashion, travel, puppies, and pizza, Meg is excited to write her story one blog post at a time.